When our boss called us about the new region in Portugal’s Deep South and asked if we would be interested in working there, it took only a few sips of rosé and a couple of olives to pique our interest. Usually we work in Headwater’s Provence region during the summer, so when we discovered the new Algarve cycling and Algarve walking holidays featured in the winter programme, we were hooked. Explore the wonderfully rugged coastline. We have worked for Headwater for a number of years now, and in many different regions – Spain and its islands, Italy, Madeira, Gozo, parts of Central Europe, and we have been lucky enough to live and work in half a dozen different areas of France, including our firm favourites, the Tarn and the Languedoc. We have also spent several winter periods travelling around Headwater’s French and Spanish regions giving the company’s bicycles their annual TLC and maintenance, preparing them for the following seasons. This was fun, a challenge and an experience – we quickly discovered that minus 7°C temperatures and metal spanners are not a good combination. It’s possible you might have spotted us ‘adorning’ various pages of the Headwater brochure over the years; we were even incumbent cover models in 2012. Between us, we have worked in more than thirty holiday areas and in various roles, traditionally running our own regions but also providing emergency or relief cover for other areas. We have also checked and updated the walking- and cycling notes for numerous holiday itineraries; we have assisted the Product Research teams in improving holiday regions, and we have visited and checked out existing and new hotels, sometimes sampling their restaurants (well, somebody has to!). 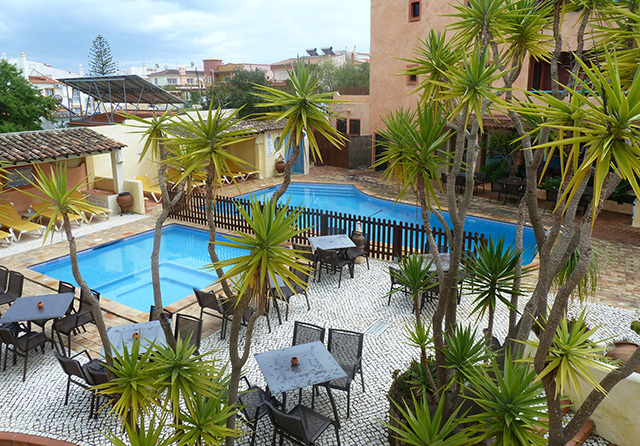 We have even been drafted in on numerous occasions to find lodgings for overseas company staff in the holiday regions. Perhaps the oddest task we have ever been asked to do over the years was to repatriate from a company house in the Dordogne a ‘trophy’ stag’s head complete with antlers. Don’t ask! Although many people who work for holiday companies see their summer jobs as only temporary, we have sort of made a comfortable way of living of it. The experiences and the job satisfaction it brings have made it very hard for us to leave. Mind you, we have never tried too hard! The weather, the travel and the unique quality of life are an added bonus (albeit a non-financial one!). The places in which we work, the hoteliers and staff we work with and the holidaying guests who we meet during the seasons are all part of what brings us back again … and again. Stay in charming hotels throughout your trip. We really are looking forward to adding the Algarve to our feathered cap (or should that be ‘cycling helmet’?). An escape from the cold British winter is always very welcome, so the opportunity to head off to the Algarve for six months and a little piece of British springtime is too good to miss. This is not the Algarve of infamy for the bucket-and-spade brigade, it is the ‘real’ and unspoilt Algarve of Atlantic rollers and impressive sand-swept beaches; pretty villages and fortified towns; strolls in isolated valleys and along stunning cliff tops with unrivalled sunsets. 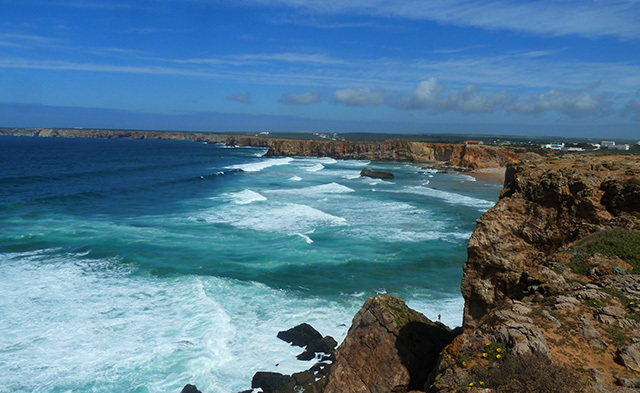 And to boot (no pun intended) Cabo San Vicente is about as far south and west as you can go in Europe. With so much wonderful scenery, history and culture on offer, and so many exciting places to explore, we hope the job will allow us time to sneak in at least an afternoon in Lagos or an evening picnic on a sunset beach. Now, where are our passports and that Portuguese phrasebook?